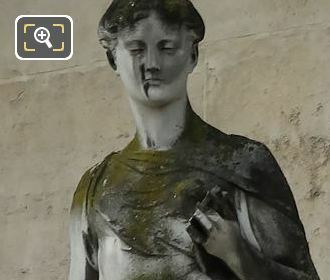 Again we were in the 1st Arrondissement of Paris at the famous Musee du Louvre, and while in the Cour du Carrousel we took these high definition photos showing the statue called La Science on the Pavillon des Etats, which was sculpted by Jules Franceschi. This first HD photo shows the allegorical statue depicting Science, with the lady holding a book in one hand and an instrument in the other, and as you are looking at the facade from the courtyard, you will find this positioned fourth from the left hand side on the first level balustrade of the Pavillon des Etats wing. 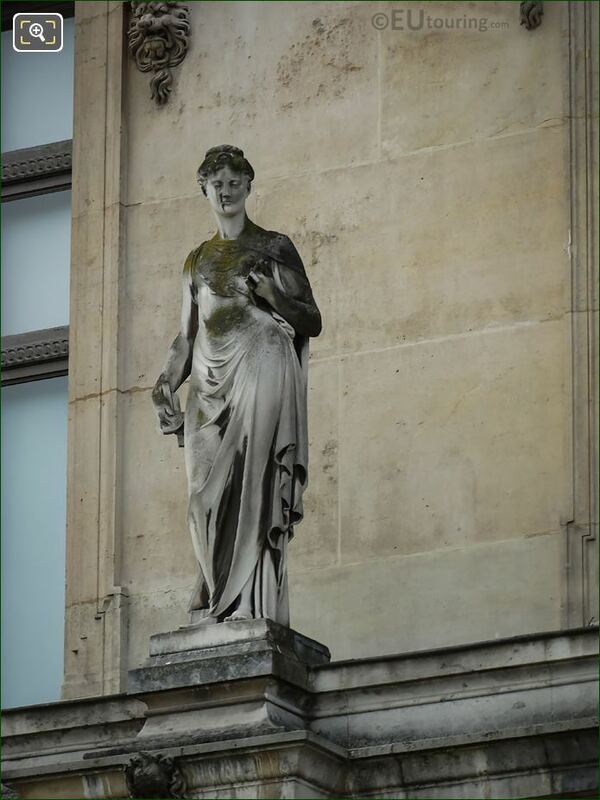 And this stone statue was produced by Louis Julien Franceschi, who was known as Jules Franceschi, and of Italian origin he was born on 11th January 1825 in the Champagne Ardenne region of France. 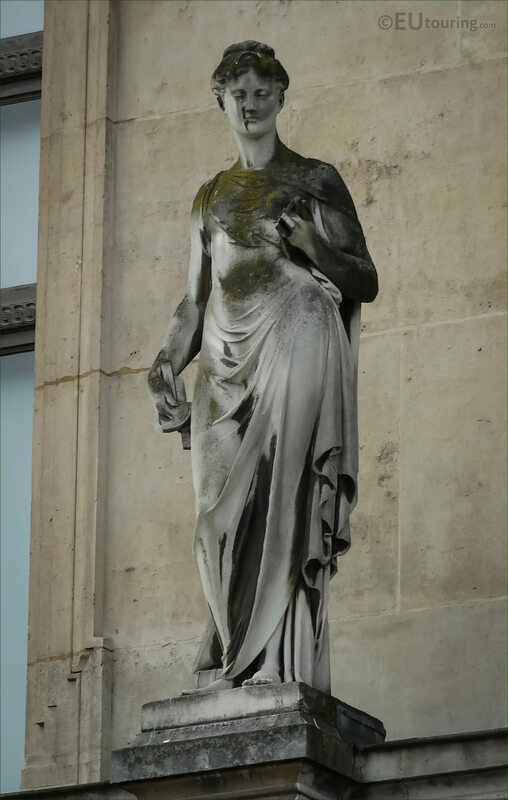 And after studying with the famous French sculptor Francois Rude, he became a sculptor himself, executing numerous different statues and sculptures around Paris, including several for the Louvre museum and the Hotel de Ville, until passing away in Paris on 1st September 1893.